I like many of the salad dressing flavors but the balsamic vinegar is my favorite. 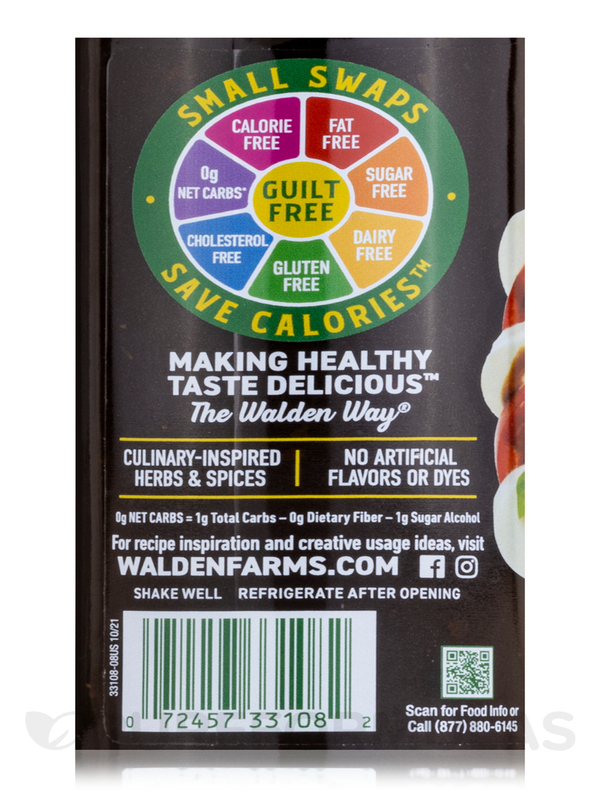 I've been using Balsamic Vinaigrette Salad Dressing by Walden Farms for several years and love the fact that it has zero calories. 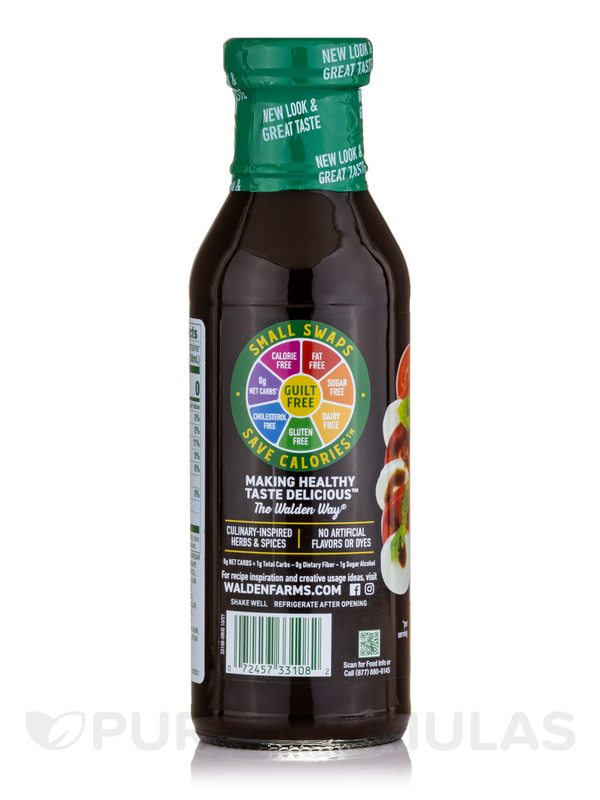 For a healthy and delicious salad dressing‚ try Balsamic Vinaigrette Salad Dressing from Walden Farms®. This salad dressing is here to prove that healthy foods can taste delicious! Salads are low in calories but might be made unhealthy with the addition of creamy dressings that are high in calories. 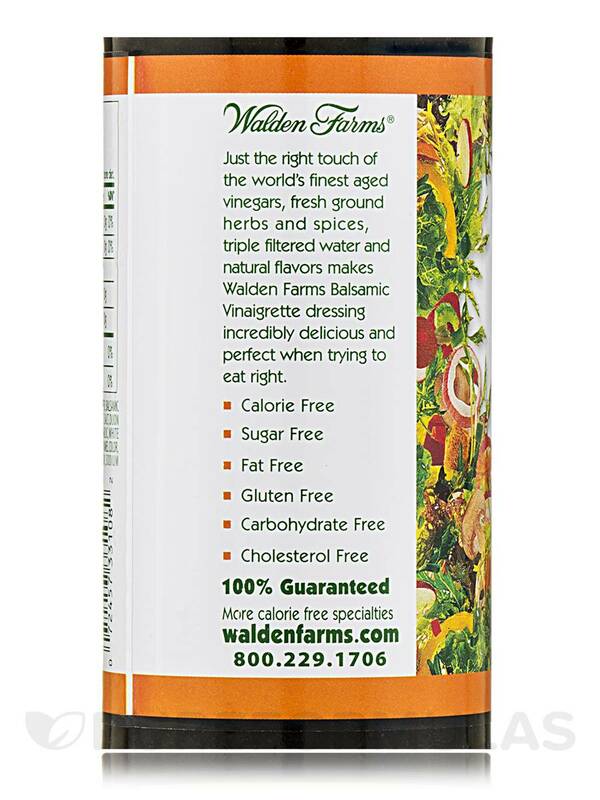 This delicious dressing from Walden Farms® may help you reduce your calorie intake and gradually promote weight loss. Follow the ‘Walden Way’ and enjoy salads flavored with dressings that have natural ingredients like organic soy sauce‚ ginger‚ mild chipotle‚ lemon juice‚ and cracked pepper. The superior quality fresh herbs and spices and aged vinegars enhance the flavor of the dressing. Not everyone likes to eat a salad‚ but that might change once you start using this product. Shake well before use and remember to refrigerate. 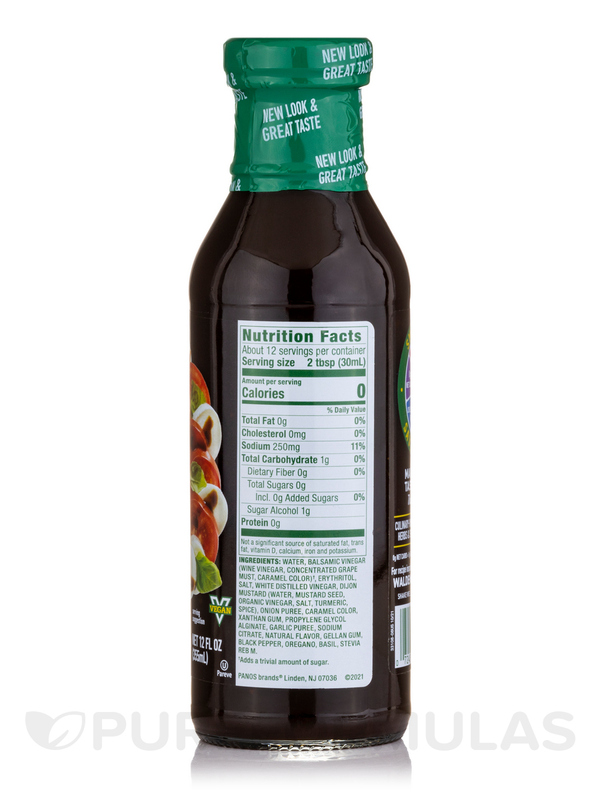 Balsamic Vinaigrette Salad Dressing from Walden Farms® is free from sugars‚ fats‚ carbohydrates‚ and gluten. 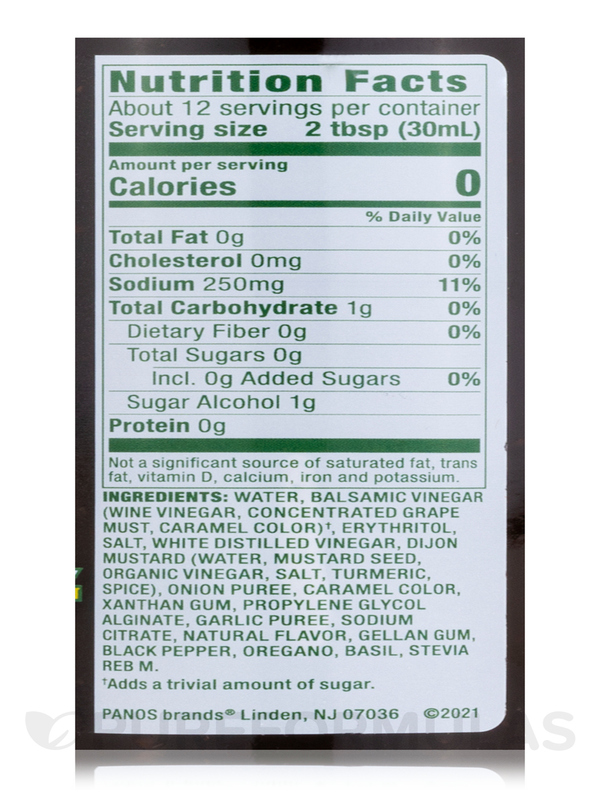 Ingredients: Triple filtered purified water‚ balsamic vinegar‚ white vinegar‚ vegetable fiber‚ salt‚ dijon mustard‚ lemon juice‚ onion powder‚ garlic‚ white pepper‚ naturals flavors‚ naturals spices‚ caramel color‚ xanthan gum‚ sucralose‚ food color‚ sodium benzoate (to preserve freshness). 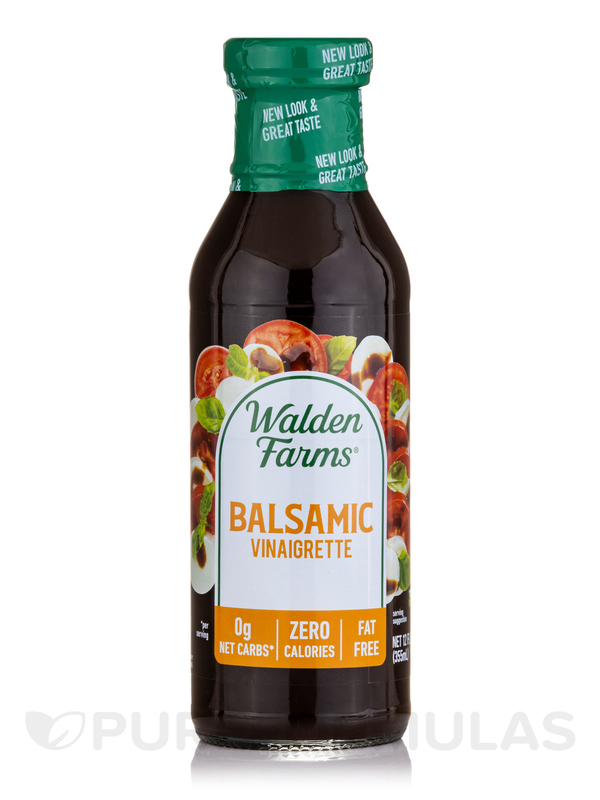 I love Balsamic Vinaigrette Salad Dressing from Walden Farms. I use it almost everyday. Delicious and calorie free. How do they do that? The pros are outlined above. It's very hard to find in the market, so I have to order online. Not the end of the world, just a little bit of an inconvenice. It is expensive but I'm the only one in my family that uses it so it's a small indulgence.